136x41 CrazyFly LTD, custom 5cm fins. 60cm Attitude kite bar, 20m lines. Non Sponsored- I buy all my own gear.. Setting up in 20+ knot direct wind - no protection like the lame 10 knot vids Online.. I've been riding around on the 8m Soul for about a month now in total... in its various wind range from the very bottom end, and very near it's top end. There are few reviews, that come from an inflatable kite Twin tip rider on this particular size, so decided to express my non biased view as I've learnt by valuable advice from the shop I bought it from, utube videos and my mistakes that I'm sure most riders new to foil kites would make. Objective - jump big... but not a slow turning PIG. I demoed a 12m Soul which had been passed over to me on the beach, up in the air. Very powerful and plug n play, quite slow but showed its immediate jump potential. I thought wow, in a smaller faster turning size, you could throw some big air and other fun tricks. I tried the 10m... still a little slow turning on 20m lines. Tried the 8m - yes this is the size that does it for me. Folded up nice n small, unfold it and then scream WTF I've bought a fishing net with shade protection.. Yes scary scary looking - once Darren from ActionSports Au explained to me how the 4 rows of bridals each side connected, it all made sense. My personal recommendation is to leave your bar attached to the kite if possible. It saves you from a lot of hysteria when setting up in stronger winds. Caution must be taken with the supplied Sandbag launcher. The kite material is super slippery and the wind can blow the kite out from under it. Put something heavier on it or get a mate to hold it for you until you get used to setting up. Pull the trailing edge into the wind slightly and sand it - this keeps the kite flatter and stops the lines wanting to twist up Tornado style. Unwind your lines walking away from the kite.. Explain to the launcher where to grab if it goes wrong - to avoid injury. Practise in a big open space - from 45deg into the wind I walk backwards to hold a little bit of pressure on the Front lines, so the kite lifts slightly, and let's some air into it slowly !!!!!!! The walk a bit more upwind till it launches. It doesn't take long to fill out. Watch utube for foil inflation tips.. The bottom end - if people are out in 12's I can use the 8m Soul, being light on my feet with good kite control helps as usual. The mid range of say is 18 - 26 knots a whole lotta fun here. As soon as your powered enough to jump small, you start going bigger and longer than most around you. 25 - 35+ knots and full committed jumps will scare you then blow your mind. Working the kite in the air is the magic key to extra lift and hang time here. Ok we've heard that tale before and seen Olly Bridge do his 28m boost, also a 200m long jump on the Soul 10m. Check these out. The LooP - some scary fun options here. Be sure to not to stall foil kites or chicken out... like me once, witnessed by kids at a freestyle clinic lol ouch. You can pivot turn the kite or Steer it through at max foil power - which is the scary part. Heli -Loops, perfect for 2nd 3rd 4th lift fun before landing. Once you figure out how to send it back then forwards fast from one side to the other, this it will land you softly. This feels nice and light for me - compared to my inflatables. I can kite all day without getting tired on this thing. The front lines take most of it into my seat harness..
Messing up a trick - either let the bar out and it will drift backwards no problems or pull full down in the bar and stall backwards. Both work well. Crash it into the water - instant Armageddon ? I've done this about 8 times, a few of those everyone on the beach including myself thought I was Doomed.. just be patient and let it do it's "Thing" yes it has a thing ! Wait for it and be ready to relaunch. It's done this every time for me.. I mostly ride flat water that I can float in, I also ride in small waves occasionally..
Having said that - sometimes our River island fast ferry puts out some massive wake... 5 secs of Tourist cam Fame lol. I always ask someone to land me ? And ASK if they know how to land a Foil kite. Then explain to them, to grab the "Closest" wing tip to the ground and hold it down until I come and take it off them !!! All those fine bridal lines can cut into skin - take no risks !!! Landing Solo - But I never kite by myself..
A huge windrange from 15 to 35 knots has got me taking one kite everywhere... Unless travelling abroad. This works in most wind except if it's so strong that the sand is blowing along the beach. Even though the kite has sand drains, you don't really want to give them a heavy workout. I have 6m and 10m Souls, and once you get over bridle phobia they are easy to handle. A bit of common sense and you won't have any problems. They certainly are jumping machines on a TT. I also use them for foiling where they are also light wind masters and, as you have found, easy to relaunch, even in really light wind when foiling under 10 knots. Learning something new is always handy..
Oneday I'll get a foil for my board if I can find a 2nd hand cheap fast one somewhere. Just like Simon says... choose your conditions and your kite carefully. I think the 10m and upwards would go really well on 17m lines, the faster you can turn and send them - the higher youll go..
Sure you lose a little on the power stroke, but they produce a truck load of power and once your in the air. the lift and float is exactly the same. It will also help when body dragging too. Heres the Soul prototype being absolutely hammered in Relaunch testing, Ive not crashed mine like that but had Uglier fold ups on the water... before it did its "Thing" with patience - and flew back up. And heres that Soul 200m Big Gonads jump that didnt play above.. I have the 8m and 12m. 8m is on 19m lines, 12m on 17m lines. Used 95% for foiling but sometimes I'll get overpowered and come in and swap the foil board for a twin tip. I went hard one session once on the 8m and tried some back roll kiteloops and one boost jump kiteloop. Holy crap, it pulls harder than the Vegas through the loops. Too scary for me. It definitely took 15 - 20 sessions on my foil kites to feel confident in beach setup, pack down, launching, landing and to dial in the differences in flying techniques. I have had to do 3 self rescues now and swim back to shore as I go out in 5-8 knots regularly and it doesn't take much for the wind to completely drop out. Once you have learnt to self rescue it's no biggy unrolling the kite on shore and setting your bar and lines to launch again (5-10 mins). Without a good self rescue pack up, you could be mucking around for 2 hours getting sea weed, sand, water off the kite and bridal, untangling bridal etc. Or worse, you could end up with a water logged kite which is damn near impossible to empty and drag back to shore and is a high risk of tearing or stretching the seams in doing so. My rule with the Soul when out in deep water foil boarding is that if I cant relaunch it within 10-15 mins and if the leading edge isn't facing up with the vents still catching wind, I will pack it down and swim in before it takes on water. The good thing about them though is they only need 3-4 knots to relaunch when directly down wind and if no significant water has entered, so with a bit of technique you'll get it back in the air pretty easily and then just do 5 or 6 kiteloops to get the water out of the wing tips. I had the Hyperlink before the Soul and whilst a really fun, learner friendly foil too, its disadvantage was that it took on water faster than the soul and so your relaunch window was shorter. Whats the bottom end you are getting on the 8m with your foil? Also the sweet spot for it too? I aslo have the 12m soul looking at getting a smaller one. 83kgs. Moses foil t40 board = 8 knots on the 8m with a kiteloop and then downloop water start. All good once up on the foil. Sweet spot 10-15 knots. Twin tip about 12-14 knots to hold my ground and high teens low 20s is fun. I'm using a cabrinha bar and I dont have much trim depower so my high end is probably a bit lower than others. Awesome thanks just the info I was after. I find the 8m needs a minimum of around 11-12knt at 88kg but that's possibly because I'm in Brisbane. going OT, but ... KiteHume, Macster or others, when foiling, what is your range with the 12m Soul? I have been thinking about this kite for light wind foiling but still want decent overlap with my 9m Airush Ultra (which is prob 11-16 sweet spot for me). Can go below 10knots with looping, etc., but becomes less fun. I am 73kgs on a SS Hoverglide, no foil kite exp. Afraid of the 12m soul being too much of a handfull before I crack out the Ultra. Alternatively the 10m Soul? Any thoughts and experiences appreciated. I'm 65-70kg. On Liquidforce Thruster free ride foil. Can get going from a steady 7-8 knot wind. Sweet spot 9-12knots. Still comfy upto 14knts. Above that I change to my TT. The 12m soul has great wind range. I have not even touched the depower trim yet. In the 7-14 knot wind range I use it in. This Is my first foil kite. Love the light wind performance it offers when foiling. It is kinda like learning a new language when coming from Lei kites. So give yourself a few sessions to get used to it. You will quickly learn the do's and do not's. If I can launch the 12m soul and keep it overhead, I can foil on it which is around 5-6 knots. 8-12 knots is comfy for me though I use the ozone foil race bar with this kite which has about 70cm of trim and I can ride it up to 15 knots pretty comfortably. I haven't flown the 10m but if I had my time over I reckon I would buy a 6m / 10m soul combo and use line extensions on light wind days. Awesome, thanks guys. Really useful info. Apologies to OP for foilboard territory . Nice review btw. Even though I've never flown a foil kite, these Soul kites seem dreamy! I want one! If your going to use a big surf wing, 1000 sqcm + , the 10 Soul is all you will need in 8-10 knots and maybe less. But if you plan to use faster wings, you will probably need the 12 Soul to get going, for off the wind and tacks. I'm 80 kg. The 12 Soul is more race oriented, not a race kite but great for going places as it isn't the fastest turning. 10 Souls and below are much suited to big wings or high winds on small wings. Theoretically if you have the right foil size, you can use quite a small kite in a massive range of wind if you're average weight. I use a 6m and 10m Soul and if they fly comfortably at 45 degrees I can foil easily on my Moses 633 or a Naish Large etc at 65kg. These large surf foils of 1200 sq cm plus make light winds easy and fun as the water is smoother and you can easily catch tiny waves. For your 73kg assuming your Hoverglide is around 1200sq cm the 10m Soul should have you foiling in around 8knots and the 12m will give you a couple of knots below that. The above comments do imply reasonable foiling skill, and getting used to foil kites takes a couple of hours as the timing is a little different with regard to turning and power development. A foil kite will feel like a handful when you are getting used to it if the wind picks up because they can fly a lot further forward in the window. The speed of the Soul in a straight line is also greater than an LEI kite due to its greater aerodynamic efficiency. However you'll get used to it and you'll value the easy relaunch capabilities of the Soul if you drop it in light wind. To take it down smaller I also use a 5m Naish Boxer single strut kite which has no problems on my foil gear from 12-13 knots. But the area I live in gets good wind so I've just imported one of the new Flysurfer Peak4 single skin in 3m One of my customers has ordered a quiver of these kites from me to use for landboarding & kitesurfing and is seriously impressed with their performance, which is also backed up from online reviews. (He lives interstate so I couldn't try one of his) So I've got one now to demo not just for kitefoiling but also as a lazy mans paddle & downwind cheat for SUP foiling. 12m Soul seems to be 'bout right then in combo with the Ultra. Interested in trying shorter lines. A bar with big trim e.g. Ozone foil race, makes sense. Unfortunately the closest kiteshop/FS dealer is 2+ hrs from me. Great to get real world opinions on wind ranges. Always the trade off HF:kite - so many options! If I didn't have the Ultra I'd probably go a 10 and get a bigger wing as mindful of slower turning of the 12 (but the Ultra's staying). The hoverglide H5 is about 700cm2 has plenty of lift and not that fast (ok for my skill level right now). Could change gears to the higher aspect H3 wing, or, ultimately, upgrade to a better HF when I think i deserve it. Not that I'm into speed, but sometimes it's cool to just go as fast as possible. Thanks for all the advice! Go the 12 Soul, I have the 9 Ultra too. On the big wing I only use the ultra in the light stuff as it turns quicker and you can depower it in a downloop so it doesn't pull you off the board. 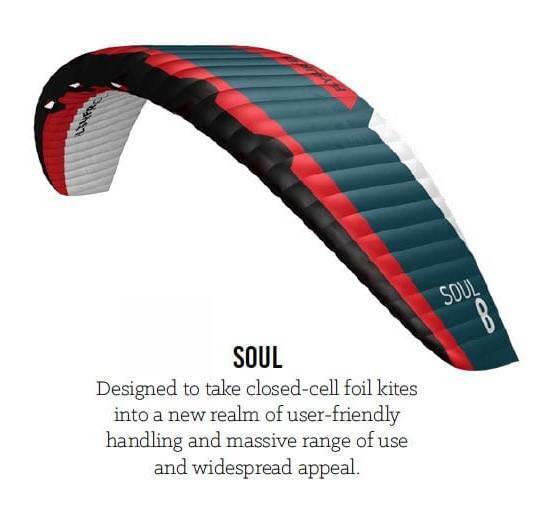 The 12 Soul is the pick for a fast wing, you need the bigger kite off the wind and the extra lift helps with tacks. Just a reminder that when using a custom or alternative bar - just be sure to have at least the same throw length as the Flysurfer one. You don't seem to use a FS bar. Any reason, other than you already had the Attitude bar? Depending on the material it is made from. most really dont like being in the water at all. They can absorb water and let water in through the air intakes depending on the design. A lot of foil kites are race machines these days and as always there is a trade off. Imagine a soggy sleeping bag - Haa now you get the picture, but wait theres more.. the bridle lines can wrap around both wing tips and it start twisting up Uglier than a bad hair day lol. Uh - did someone say relaunch ? and so the 'Dont drop your foil kite' statement was born. Now for the good news... The material Flysurfer have made the 'water contacting part' of the the Soul kite with - repels water !!! Unbelievable, rocket scientists really do exist... also they have moved the air intakes back on the leading edge so it minimizes water being able to get inside the kite. If water does get in and you relaunch, holding it to either side or looping it, will let the water run out through small open vents on the wingtips. The importance of having at least the same Flysurfer throw on an alternative / custom bar, is to make sure it can un-fold itself to its normal tuned Relaunch position. For a foil kite aimed at the free ride x over freestyle market, no one including myself, would be interested if it didnt have a good relaunch or be able to sit on the water for a long time. I have last years Flysurfer bar, it is slotted like the core bar but everything else is stronger. 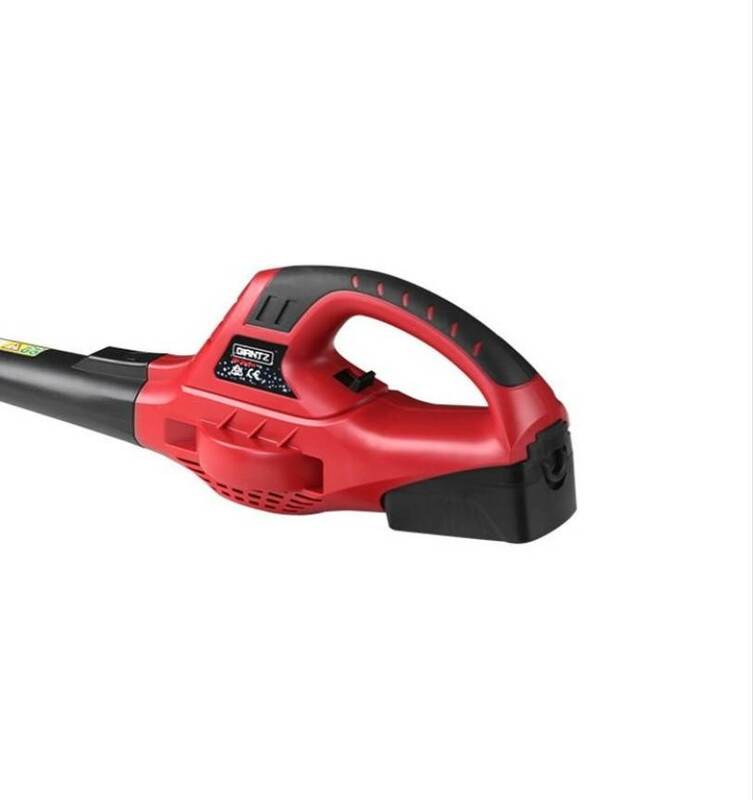 It could do with the core pvc depower lines Or fit some - as the standard depower line tends to wear out faster than most. When going big you tend to worry about stuff like that.. I bought my Kite Attitude bar at a good price with most of the good things i wanted on one. The 12m is a light wind beast when you couple it up with the SS foil. Foil kites build much more apparent wind power than inflatables so you will need to learn to manage the power and speed with cranking upwind or bearing off deep downwind on the foil. The Souls will fly in about 5-6 knots, which means they will work in that wind speed. They will relaunch in as little as 6 knots without much trouble once you understand them. I'd advise flying one in 8-12 knots initially until you dial all the little idiosyncracies associated with the ram air kites. Tacks and gybes will be way easier as they give a lot of lift as you change sides of the wind window. This makes you light on your feet making the foot change faster and easier. Amazing kites, and awesome in a good blow on a twin tip too. The Souls are covered by a 12month free repair service too. Kiting in 7 or 8 knots on a ram air kite like the Soul is pure bliss and just not realistic on most inflatables. The Soul was also used by Guy Bridge to win both the Lighthouse to Leighton and also the Lancelin Ocean Classic, so it's no slouch if you choose to go fast too. If you ever find yourself in Perth, we have demo in 12m and 10m Souls with FS bars. Made up some new 15m lines today for the 8m. Hopefully can give it a whirl tomorrow! Had a few flies on 15m lines now. I dont think I personally will go any shorter as you have to give the bar a good yank to complete a loop now. On the positive side, it is very responsive now and much easier to recover the kite if for instance you go to far to the edge of the window when doing a transition and back stall the kite. Upwind is aggressive, launching and landing easier. Wind range deceptive, I think I could hold down a bit more but who knows cause I was also using a new wing on my foil. I was out with a friend today on a surfboard and a 14m about 70kgs, experienced kiter. He had to body drag back and I was still cruising around ok on the 8m for comparison. I like the 15m lines and I think they're here to stay. You do have to get more active flying the kite from one side of the window to the other when water starting in light wind to get the same go go.